Discussion in 'Completed Pin Games' started by Rasputin, Jan 23, 2019. 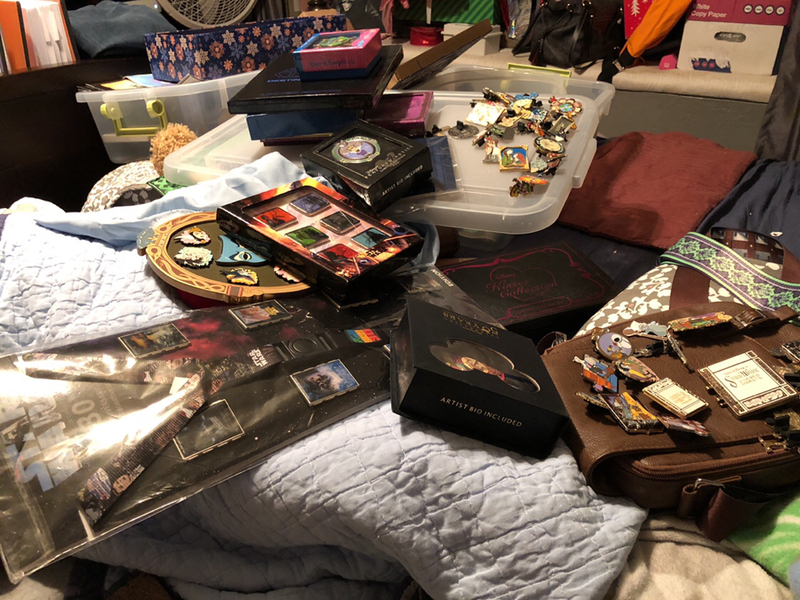 So my wife and I have decided to completely liquidate all of our pins (minus a few with sentimental value). Our loss is your gain. Each spot is $35 (shipping included even for overseas trade players). Payment can be made to rarity8835@gmail.com when the game is full. There will be at least 40 spots. Just a small sample. Does anyone know if there is a limit on spaces? I won’t post the game until Sunday at 5 PM CST. That will give everyone a chance to get ready for it. TheMickeyMouseRules, AshleyV, KJackson1195 and 6 others like this. OK guys & gals, I'm going to delete all posts & lock this thread until Sunday. @Rasputin : there is no limit to the # of spots you can have, just that you have to identify how many spots there are and they cannot increase once you have done so. MommaIvy, summerskin, MerlinEmrys and 3 others like this.